Look no further, 16660 Martingale is an exceptionally maintained 4-bedroom 2.5 bath home in the coveted Bradbury Ranch Community. The open floor plan boasts vaulted ceilings, an open concept kitchen (with breakfast nook and granite counter tops), a master bedroom with a dedicated 5-piece en-suite, and a spacious family room that connects to an incredible back yard. 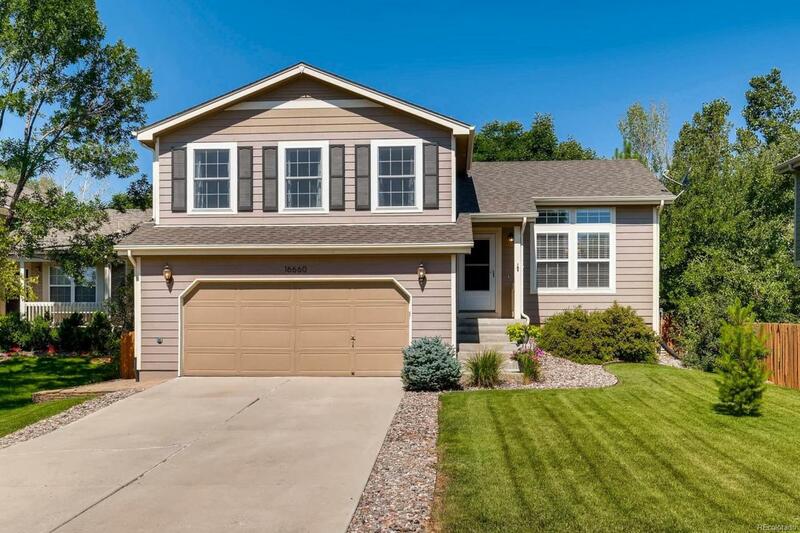 This home sits on a large lot with a private backyard that includes mature trees, a spacious deck, custom pergola, and plenty of room to play! The finished basement provides the option of a 4th bedroom, recreation room and/or dedicated study. The Bradbury Ranch neighborhood includes a community pool, club house, tennis court, and plenty of open space trails! The location is minutes away from authentic Downtown Parker, which provides residents with a distinct community experience, that includes small locally owned boutique shops and restaurants, community events and the Parker Arts, Culture & Events Center.